On the November election in California, enough signatures were gathered just over 400,000 to put a question on the ballot – should California be split into three states? The discontent in California is certainly regional. 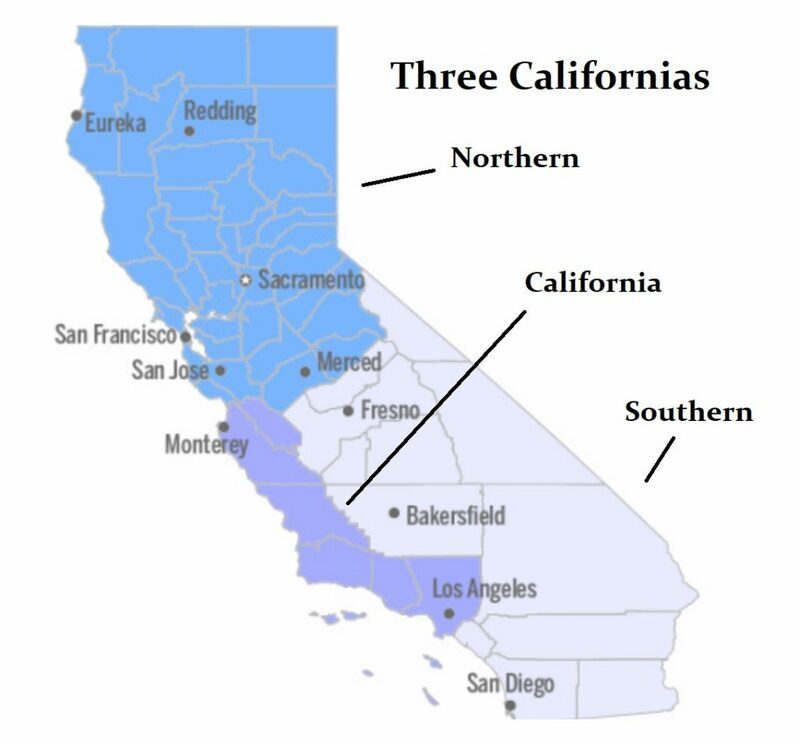 The proposal for three states would break California up into North, South, and just California. Tim Draper has been the primary bankroller behind the division idea. He managed to collect at least 402,000 signatures to divide California into three parts. Northern California will be composed of the region from Oregon down to San Francisco. Southern California would include Fresno, Bakersfield, and San Diego. Then there will be California between these two regions which will be with its capital at Los Angeles. Effectively, three capital cities would emerge, San Francisco, Los Angeles, and San Diego. Anyone who has been to California knows that indeed there are three distinct cultures. Silicon Valley is a region in the southern San Francisco Bay Area referring to the Santa Clara Valley, which serves as the global center for high technology, venture capital, innovation, and social media. This will be part of Northern California leaving behind the craziness of the Los Angeles politics that has far too often swamped the philosophies of Northern California. This is once again part of the separatist movement that is rising everywhere around the world. It is all part of the same cycle of Civil Unrest.